Hey guys. I just ripped Donkey Kong Country Returns with my modded Wii. I used Cleanrip. At the final stage, it said "Not verified with redump.org." Wasn't sure what to do at this point so I decided to try it on Dolphin. It's running at around 60%, whereas Mario Galaxy and Skyward Sword run at around 100% all the time. Also, the sound is terribly messed up. It crackles a lot, and I heard TONS of random noises/sound clips, voices, sound effects, seemingly endless. Tried changing 2x under the enhancement tab to 1x, still same speed/audio issues. 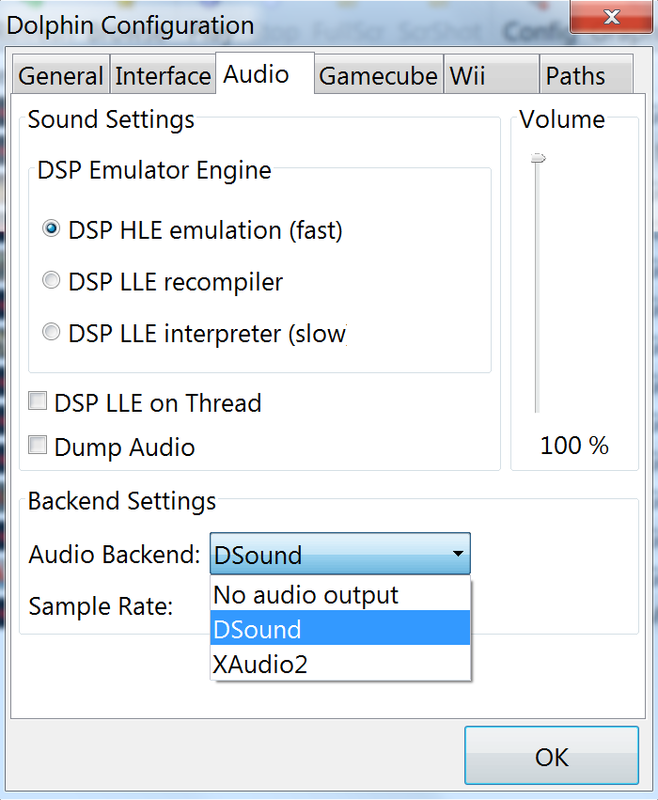 For this sound, try using the latest Dolphin revisions, select OpenAL as the audio backend, and make sure the latency is somewhere around 10ms or above. The speed issue is probably because of your CPU. Are you Turbo Boosting at all? 2.7GHz isn't very fast for Dolphin, but it should be able to Turbo Boost much higher than that (dunno the actual number but it should be 3+GHz). Use CPU-Z to verify your current clocks. Thanks for the info. I'm having some trouble still though, need some help figuring it out. How do I select the latest Dolphin revisions? I'm using the latest version of Dolphin, I think. How do I check the latency? OpenAL doesn't show up as one of the choices on my list for audio backend (see here http://i.imgur.com/VmxGejl.png ). I'm not Turbo Boosting (what's that?). 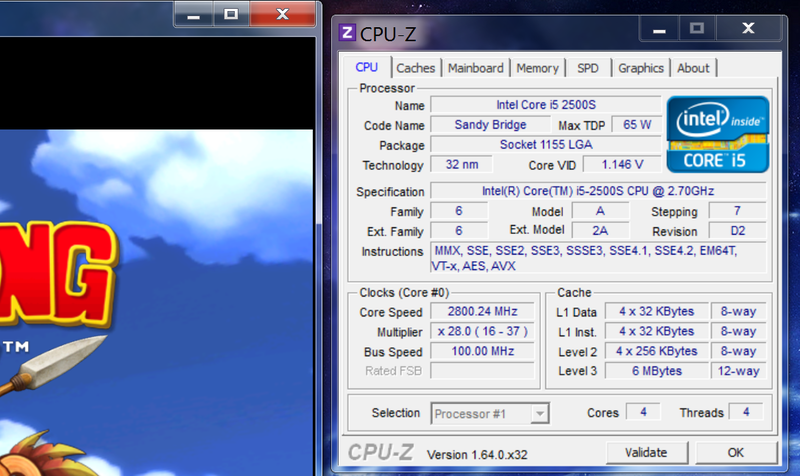 I got CPU Z, I'm not exactly sure what to do with it, but here's screenshots of all the settings from it. Thanks again for any info, I really appreciate it. And here's a screenshot of the webpage that opened when I clicked "validate." (05-20-2013, 06:16 AM)Irrelevant_pelican Wrote: How do I select the latest Dolphin revisions? I'm using the latest version of Dolphin, I think. There is a download link at the top of the forum, the latest development version is what you want. (05-20-2013, 06:16 AM)Irrelevant_pelican Wrote: How do I check the latency? You have to use a newer version to be able to adjust that. (05-20-2013, 06:16 AM)Irrelevant_pelican Wrote: OpenAL doesn't show up as one of the choices on my list for audio backend (see here http://i.imgur.com/VmxGejl.png ). You have to use a newer version to be able to use that. (05-20-2013, 06:16 AM)Irrelevant_pelican Wrote: I'm not Turbo Boosting (what's that?). Your CPU will overclock itself in some situations. You can search via Google for more information on that. 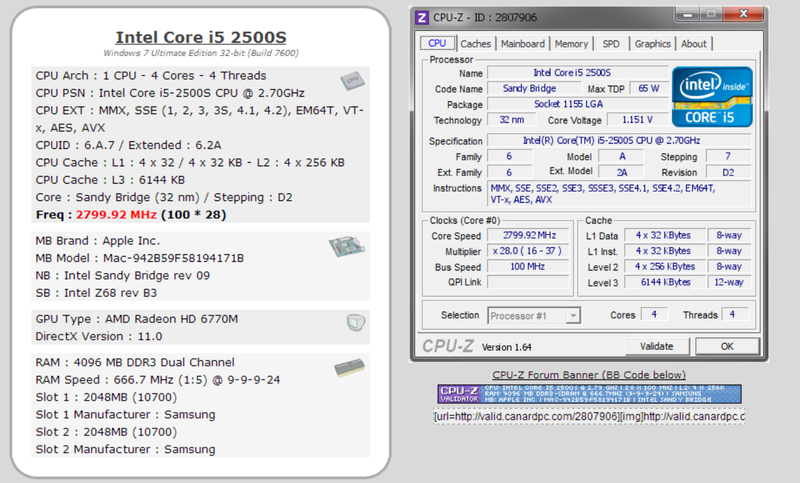 (05-20-2013, 06:16 AM)Irrelevant_pelican Wrote: I got CPU Z, I'm not exactly sure what to do with it, but here's screenshots of all the settings from it. It tells you various information about your CPU. In this case, you're meant to look at the speed your CPU is running at while a game is running. You need to be on the CPU tab to see that information, though. It's definitely way worse now... It's around 40% at the title screen and you can't hear anything from the audio. Just random noises. How can I make my CPU turbo boost to 3GHz? This is from the first level of the game, I'm standing there not moving. As you can hear, only part of the music is playing, there's random sound effects/short music loops/a horrible screeching messed up sound. Considering this happens in multiple games, I figure there's gotta be some way to fix it.